Robin Thicke Thanks "Wife" Paula Patton for "Putting Up With Me" in Speech, So Are They Back Together? Back in February, Robin Thicke and Paula Patton announced their separation after nine years of marriage and many, many years together. (The pair met when they were just 14 years old.) And, in the months since, Thicke has made his intention to get back together with Patton very clear, releasing a song called "Get Her Back," which he reportedly wanted to sing at the 2014 Billboard Music Awards in an attempt to win Patton back. But it seems like his desperation has sunk even deeper — the pop star took to the stage at the awards show and delivering a speech for Best R&B Song dedicated to Patton. 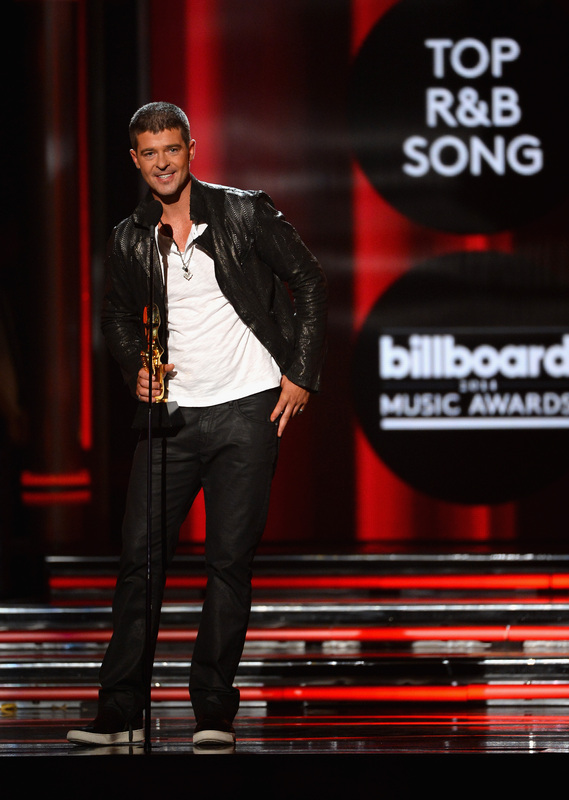 "I'd like to thank my wife for her love and support and for putting up with me all these years," Thicke said. So, take that, separation? We’ve known each other since we were teenagers. All I can tell you is there’s a deep love there — always was, and always will be. From my perspective, I always let Robin speak through his music. Will his public "I'm sorry" — and special shout-out to his wife — do the trick?